With Google+ being launched on a field trial basis this past month, much commotion has been made among internet consumers and marketers alike. The Google+ project is said to take on the Facebook dynasty in new and innovative ways. The network is similar to Facebook but has many of its own unique qualities. Google+, already being labeled as a social network, will essentially utilize all Google products into its navigation bar for a more complete experience. Imagine a consumer searching the Google homepage, researching a new electronics product they wish to purchase. 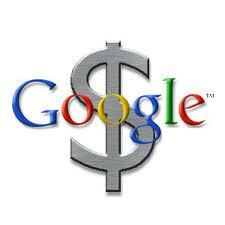 After clicking on an ad from Google Adwords they are transported to your website promoting and selling that product. They come close to purchase but never convert. This would be the end of tracking for a marketer without Google+. What if you could then follow the consumer to their Google+ account where they go to ask for recommendations from the people they trust? This is the place for “remarketing”, where you could utilize hyper-targeted ads for these on the fence buyers to offer them free shipping with their purchase of the electronic item. Boom – Conversion. Google+ has yet to launch to the public, nor has it made any announcement about its plans for Google+ advertisement, however the potential is there. Personally, I believe that privacy issues will be the biggest concern for Google+ when ad and marketing development comes into play. It will be interesting to see in the future how Google+ pans out for marketers, consumers and just plain internet users in the future. until now no one known how big google+ going to be, but some thing for sure there are more interesting stuff will come with google+ and for marketer it’s great news.